How we helped two new business owners with a TUPE scenario after they acquired the business. Y Bont Faen Dental Surgery is based in Cowbridge, South Wales and employs eight staff. Two business partners purchased the Cowbridge-based practice which resulted in a TUPE scenario where existing staff needed to be transferred with the business to the new owners. The practice had struggled financially for some time, but the new owners were confident they could turn it into a profitable business. Unfortunately, there were a number of employment issues which the new owners had to address to enable positive business performance. 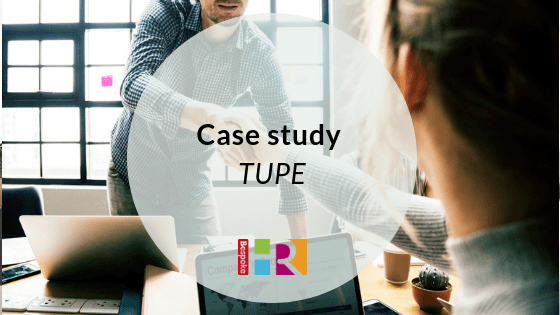 The business owners were recommended Bespoke HR by a colleague at another practice and enlisted its help to advise on the TUPE process and subsequent staffing issues. One of Bespoke HR’s consultants worked closely with the owners which included offering advice on disciplinary, grievance, ACAS negotiation, settlement agreements, dismissals, sickness, unauthorised leave and bullying. In addition, Bespoke HR was able to partner with an IFA to provide pensions advice. Over a six-month period, Bespoke HR worked side by side with the practice to address and resolve each of the employment issues. This was a lengthy and sometimes uncomfortable process but in each case a successful outcome was reached. The Practice has now reached the stage where the owners are able to focus on growing patient numbers and developing the business. The key to the continued success of the relationship between Bespoke HR and the practice is an open and honest line of communication. All of its consultants endeavour to always provide practical and realistic advice as it guides the owners through the intricacies of employee relations. The employee issues took eight months to resolve, and now the owners can focus on stabilising the business and delivering an outstanding dental service. Bespoke HR will continue to partner with them as an extension of their business and provide advice and support through the remainder of their journey.